Green Project Marketing is pleased to represent, Enovative Group and its proprietary technology, industry leading demand controller system that is used in commercial applications for the main recirculation pump located in the boiler room. How is this system and product different from other typical hot water circulation pumps? Most conventional hot water recirculation pumps are left running continuously, 24/7, whether or not anyone is actually using hot water. This excessive pumping can cost building owners thousands of dollars every year in energy waste. 2) If there is no user demand. 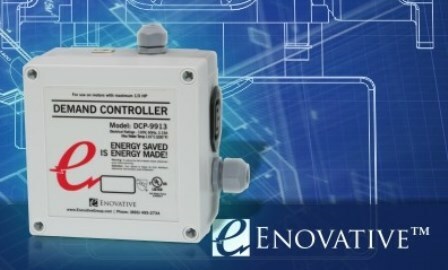 The product uses sensors that read both demand in the building and water temperature to intelligently operate the pump only at times when it is needed. What types of companies or organizations should be purchasing and using this product? 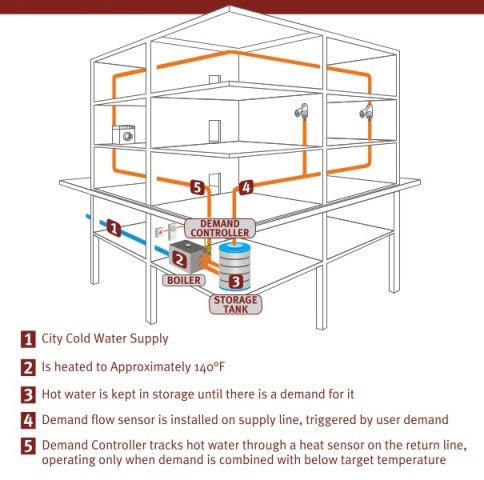 Any high usage facility or building that has a hot water domestic loop system is an ideal client. Also, please feel free to visit www.enovativegroup.com. To set up a call or an appointment, please contact Michael Stevens at (800) 260-6008 ext. 301 PST, via mobile at (310) 890-9182 PST or michael(at)enovativegroup(dot)com.